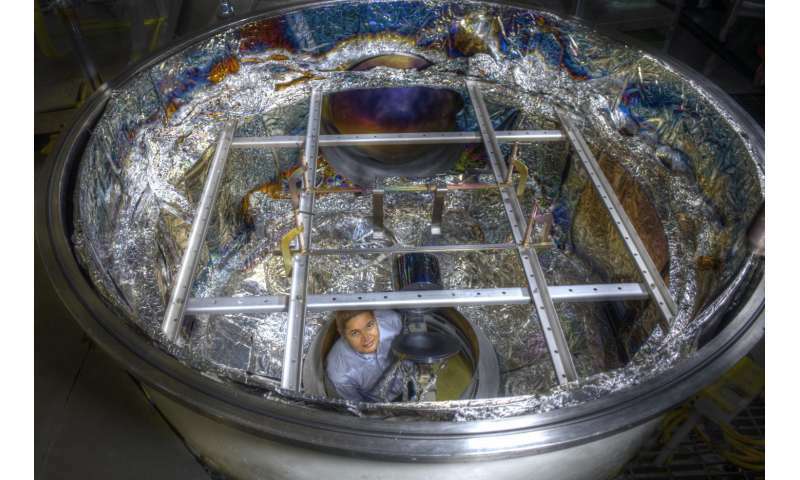 NASA technologists produced telescope mirrors with the highest reflectance ever reported in the far-ultraviolet spectral range. Now, they're attempting to set another record. 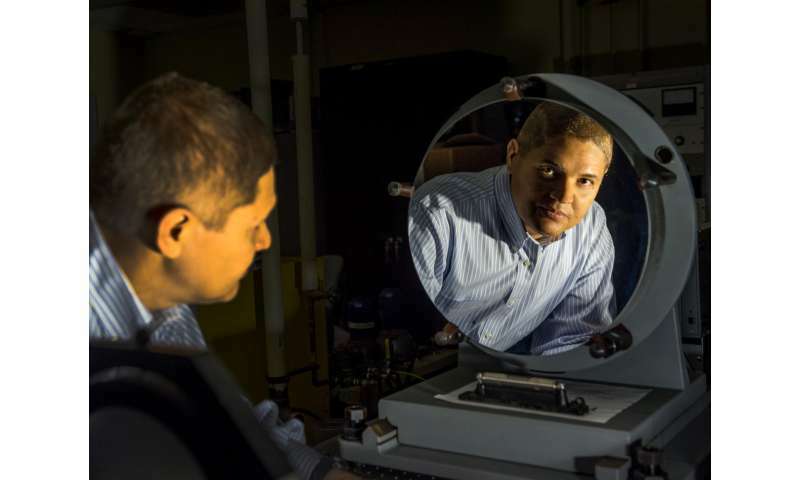 Manuel Quijada and his team, optical experts at NASA's Goddard Space Flight Center in Greenbelt, Maryland, are investigating techniques for creating highly reflective aluminum mirrors sensitive to the infrared, optical, and far-ultraviolet wavelength bands—a broad spectral range envisioned for proposed space telescopes after the James Webb Space Telescope and Wide Field Infrared Survey Telescope. These proposed missions would tackle a broad range of astrophysics studies, from the epoch of reionization, through galaxy formation and evolution, to star and planet formation. Quijada's team specifically is studying three different techniques and materials for creating and applying protective coatings on aluminum mirrors to prevent them from oxidizing when exposed to oxygen and losing their reflectivity. "Aluminum is a metal that nature has given us the broadest spectral coverage," Quijada said. "However, aluminum needs to be protected from naturally occurring oxides with a thin film or substrate of transparent material." Unfortunately, no one has developed a coating that effectively protects and maintains a mirror's high reflectivity in the 90- to 130-nanometer range, also known as the Lyman Alpha range. At this spectral regime, scientists can observe a rich assortment of spectral lines and astronomical targets, including potentially habitable planets beyond our solar system. "The low reflectivity of coatings in this range is one of the biggest constraints in far-ultraviolet telescope and spectrograph design," Quijada said. Ultraviolet light, which is shorter than that of visible light but longer than X-rays, is invisible to the human eye. Only with instruments tuned to this wavelength can objects be observed. One of the recent NASA missions fully dedicated to far-ultraviolet observations was the Far Ultraviolet Spectroscopic Explorer, or FUSE, which was decommissioned in 2007 after a successful prime mission. Although it acquired 6,000 observations of nearly 3,000 separate astronomical objects over its eight years in orbit, FUSE's lithium fluoride substrate coating was not stable enough and began to degrade with time, Quijada said. Quijada's goal is to develop a coating and process that not only improves reflectance in the far ultraviolet, but also allows observations in the other wavelength bands. "Traditional coating processes have not allowed the use of aluminum mirrors to their full potential," Quijada said. "The new coatings we're investigating would enable a telescope covering a very broad spectral range, from the far ultraviolet to the near-infrared in one single observatory. NASA would get more bang for the buck." Under one coating approach, the team would use physical vapor deposition to apply a thin layer of xenon difluoride gas to an aluminum sample. According to Quijada, studies have shown that the treatment of xenon difluoride creates fluorine ions that tightly bind to the aluminum surface, preventing further oxidation. He also is investigating the use of two other thin-film deposition techniques—ion-assisted physical vapor deposition and atomic layer deposition—to apply thin films of aluminum trifluoride, which is environmentally stable compared with other coatings. Quijada and his team already have succeeded in developing a coating for another region of the ultraviolet spectral band. In 2016, a validation test proved that a protective coating that the team devised provided 90 percent reflectance in the 133.6-154.5 nanometer range—the highest reflectance ever reported for this ultraviolet band. To achieve this unprecedented level of performance, the team developed a three-step physical vapor deposition process to coat aluminum mirrors with protective magnesium fluoride or lithium fluoride films. These high-reflectance coatings are now enabling new types of instruments, Quijada said. Two new heliophysics missions that will study the interactions between Earth's ionosphere and solar winds—the Ionospheric Connection Explorer and the Global-scale Observations of the Limb and Disk —will employ this coating technology. "We need to push further down in the ultraviolet spectrum," Quijada said, referring to the targeted far-ultraviolet spectral range. "We need to get access to the whole ultraviolet to infrared range. We are blazing a trail in mirror coatings."